Home > Blog > How to Stay Safe While Operating a Scissor Lift? ▻ How to Stay Safe While Operating a Scissor Lift? No matter what industry you’re working in, or what you’re trying to achieve, safety should always be your primary concern. This is especially important for those working in the construction sector or any area where heavy machinery is used on a daily basis. Whilst operating a scissor lift may seem like fun and games, things can go wrong, especially if you or your employees aren’t properly trained. Given the size of these kinds of machinery, when accidents do occur, they can be very serious. Follow our tips for staying safe, and you’ll find yourself with a far less dangerous workplace. While they can make many jobs far easier, they should always be operated with caution. Reaching incredible heights in very small spaces and with so many moving parts, it’s best if they are always used by a trained operator. Working at heights is always poses a risk of injury or death – in fact, almost 30% of fatalities in the construction industry are caused by falling from heights. That’s why regulations require all work being carried out on a scissor lift be planned properly, supervised appropriately and carried out in a safe manner. How can I stay safe whilst using a Scissor lift? 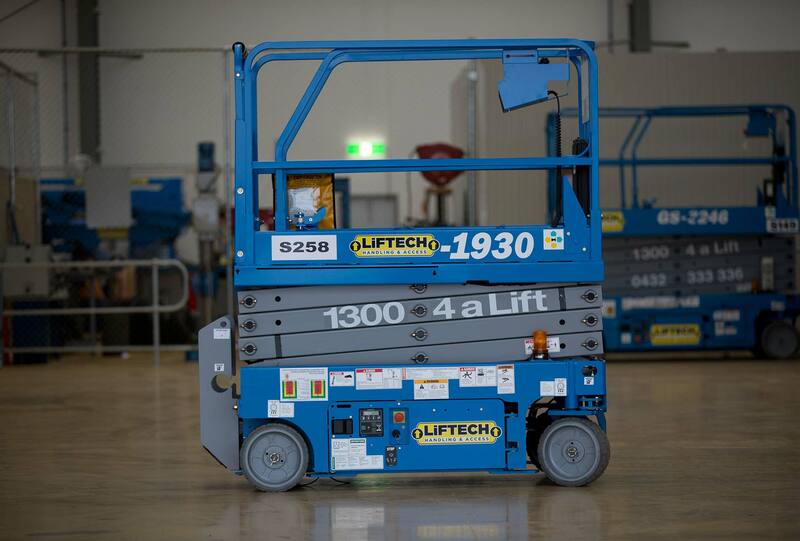 There are a number of ways you can reduce the risk of accidents when operating a scissor lift – most importantly, only allowing trained workers to use the lift. If operating outside, only use the lift in favourable weather conditions. Given their height, scissor lifts can be knocked down by strong winds. Refer to the manufacturer’s guidelines, especially when loading the platform. Never exceed the weight limit, as this could cause the machine to tip over. If you need to move the scissor lift from one place to another, bring the platform down. Moving on uneven ground can cause the lift to tip, and this risk is magnified if the platform is raised. When on the platform, avoid leaning on the guardrails – these are not designed to support weight, and could lead to breakages and falls. If you’re using the machine outdoors, avoid preforming any work on uneven surfaces or near electrical power sources. When you are ready to use it, set the breaks before beginning. This provides an extra layer of security to ensure the machine doesn’t move. Whether you’re renting your scissor lift or you own it outright, you will require insurance against theft or accidental damage. Public liability insurance will cover any damage to other property that occurs, as well as injury to third parties. To protect your employees, employer liability cover can be extended, should one of your team be injured whilst using the lift. You may see these as unnecessary expenses now, but you’ll be incredibly happy to have them should anything go wrong. Operating a scissor lift doesn’t have to be dangerous, but it should be treated seriously and approached with caution. Our biggest piece of advice that we can offer (and this applies to operating any heavy machinery) is to always keep safety in mind whilst using any type of lift. No matter how skilled you are, accidents can happen at any time.